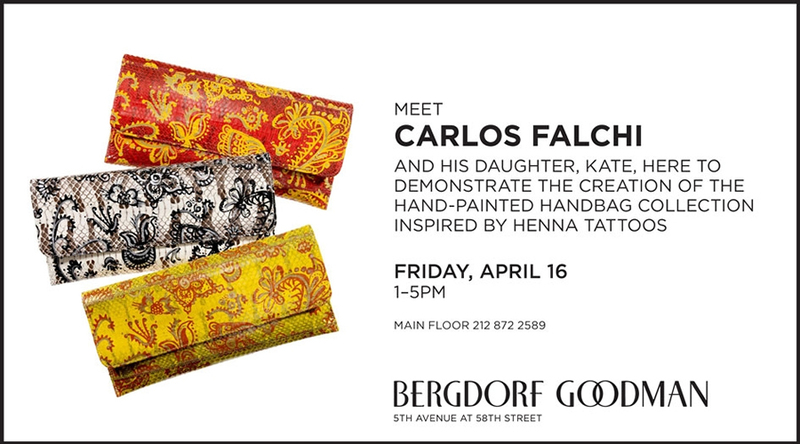 If you are in NYC today, stop by Bergdorf Goodman to meet Carlos Falchi and his daughter. Carlos Falchi is one of those inspiring people that truly loves what he does and puts every bit of passion into his work. And then there is Bergdorf Goodman, completely ubiquitous of NYC and one of the best shopping experiences in the world. Stop by and say hi to our friend Carlos and his daughter today from 1-5 PM on the main floor of Bergdorf Goodman.